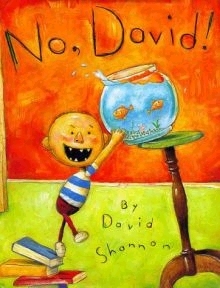 In David Goes to School David’s teacher is constantly telling him “No!” He gets into big trouble at school, and his hijinks will ring true with anyone who works with elementary school kids. But Shannon’s books always end with a “yes” that is positive and shows that even though David is high-spirited, he is a good kid at heart. 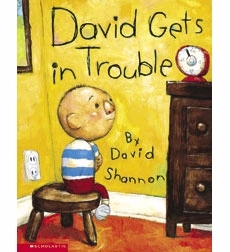 David refuses to take responsibility for the mischief he causes in David Gets in Trouble. And he causes some BIG mischief. But in the end he realizes it’s important to say he’s sorry and admit the things he has done.